As summer begins to wind down it’s time to look ahead and prepare ourselves for the new season and changes to come. I often call this time in my life “Back to School Mode”. Although it’s been several years since I’ve spent my days at an academic institution, I still go through a phase every time around this year where I look back at the year so far and mentally get ready for the what lies ahead. So I’ve decided to focus on three fun areas whilst in my mode, and of COURSE I found websites to help me out in the focus areas and I wanted to share them with you all. We are going to Organize, Socialize and Fantasize! 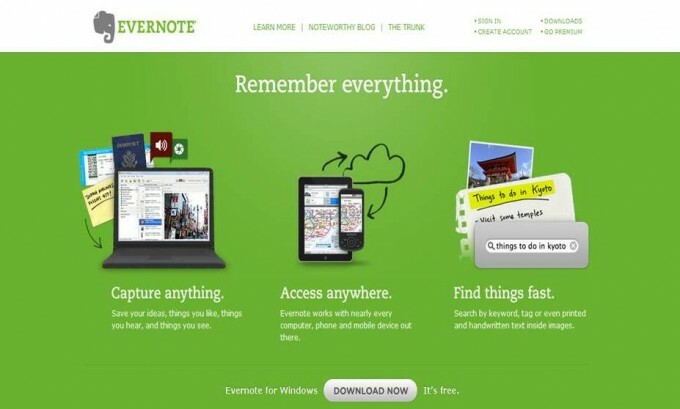 Evernote is a great tool that helps you store all your thoughts, random and/or important all in one place! You’re able to save your ideas, places you like, things you want and anything that inspires you so whenever you need it, go back and take a peek. It’s great because it allows you to organize your thoughts, for example you can have a “Food” folder, or “Work” or “Things my dog would like”. Any category you want can be created and then you just place your thought, picture, recipe, website or whatever it maybe into the designated folder category. I really like using it because often times at work, when I’m roaming the internet I may come across something that I want to keep for me, but at that time don’t have time to read or explore it even further. Evernote allows me to put my note into my designated folder so that the next time I take a look into my folder, it’s there, waiting to be explored! There is also a way that you can share lists, how great would that be if you are making the grocery list with a roommate or significant other? This handy tool is a great way to keep organized! I love making “To-Do Lists” and I love crossing off things even more, so with this tool it really helps me stay organized in a fun and creative way. Did I mention I downloaded it on my BlackBerry? Yeah, this might be my new favorite organization tool. Talk about a great way to be inspired and to meet people ready to push you! 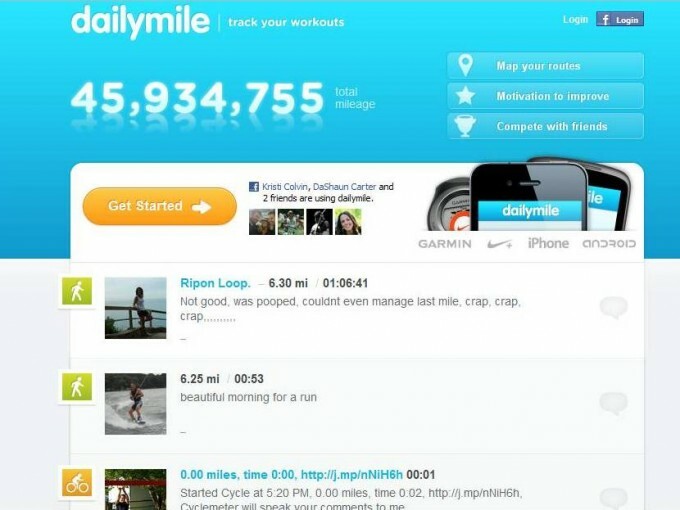 With the DailyMile, you join many others around the world and track your running workouts. It allows you to share your struggles, motivate others and get inspiration on a social level from other members. This site is another great way to be social with other people who have a similar interest: being active, working out and motivating each other to be our best. I really like it because not only do you create accountability to yourself by posting your workout, but when you are social with other members, you begin to create a relationship and they then want to know how you are doing and I feel accountable to them. This fun new website came across my Twitter stream a week or so ago and I instantly fell in love! 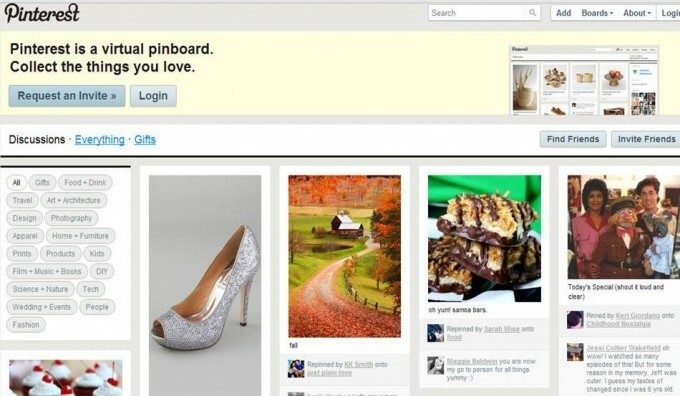 It’s a place where you can create a pinboard that lets you organize and share anything beautiful you have found online. Whether it’s preparing for a wedding, designing your home, labeling your favorite fall looks, or compiling pictures of food, you are able to create an idea board full of fantasy. I love the site because you can let you imagination take the lead. Pintrest is all about connecting people with what they find “interesting”, no matter what it may be. This site is also fun to browse when you are looking for inspiration, I can spend hours just perusing what others find interesting and inspiring, fantasizing about all the cute and fun goodies they have posted. Take a look and let your creativity fly.